‘THE BEST DEFENSE’ PART FOUR! Shall not the Judge of All the Earths do right?Norrin Radd is not so certain. 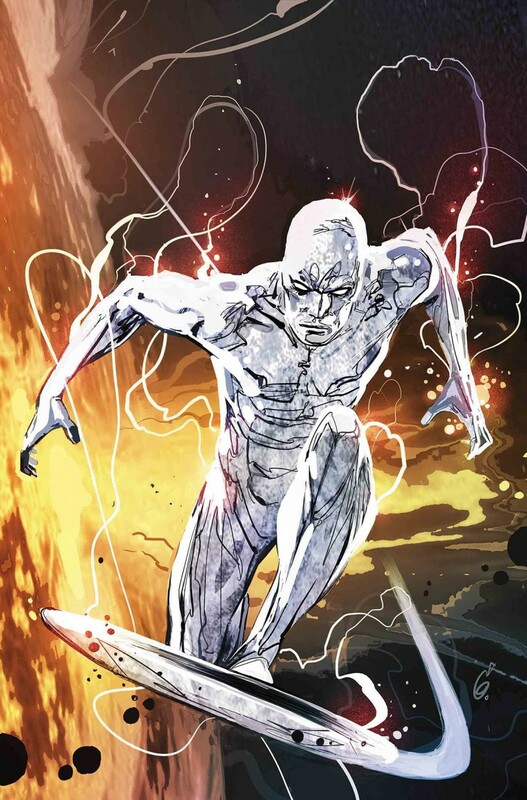 But it falls to him who is the Silver Surfer to decide which planets will live?and which will feed the unending hunger of the world-devouring Galactus! A single honest person can tip the balance… if only the Surfer can find one in time! And the Train rolls on? Want to know which new comics are available? Each week, we send our customers a list of what’s coming out as well as upcoming events and specials. Keep up to date and sign up with Mailchimp! Fill out the form and click the button.